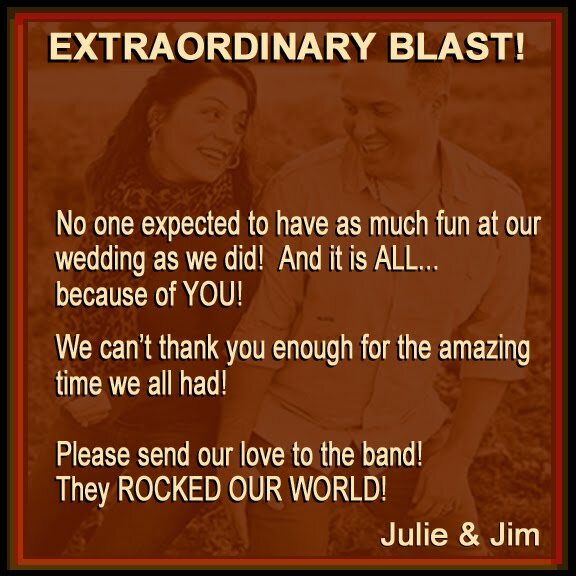 Hello Jill, Carmine, Eddie,Iris,IGMC everyone that took part in making our wedding simply fly over the top of every other wedding we have ever been at or that any of our guests have ever been at! We are eternally grateful for the memories you created for us, over and over again every minute just kept getting better and better. 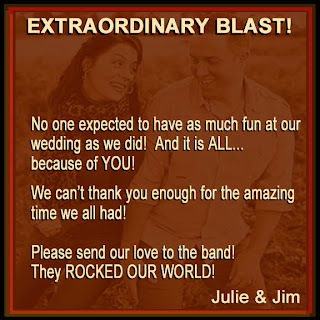 Your horn section rocked beyond belief, Jill, you are our personal rock star! Our videos and pictures will keep us close to you forever and how you made us and our families feel is priceless and we will never forget it! Iris ~ you are tremendous! You calmed our nerves all the way to the wedding and the way you negotiated peace and confidence in all of us was so helpful and you are too kind! From the bottom of our hearts, we all thank you for making our day more special than we could have ever hoped for! Thank You Iris, IGMC & ESSENCE!